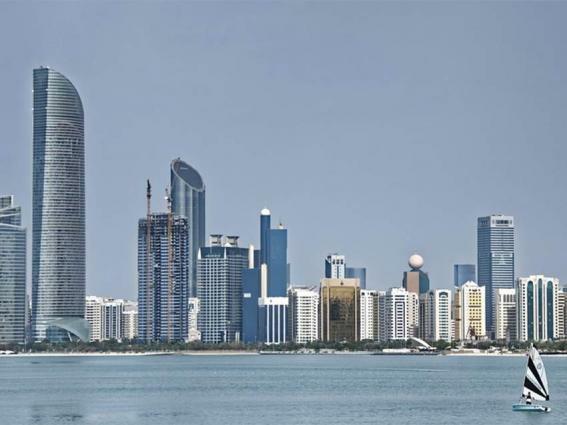 ABU DHABI, (UrduPoint / Pakistan Point News / WAM - 17th Apr, 2019) Abu Dhabi's Gross Domestic Product, GDP, at current prices, increased by 14.4%, from AED 813.6 billion in 2017 to AED 931.0 billion in 2018, according to Statistics Centre - Abu Dhabi, SCAD. 'Non-oil' activities at current prices increased by 3.5% in 2018. These activities have seen positive growth rates since 2013. The strong increase in oil activities combined with lower growth rates in non-oil activities contributed to a decrease in the percentage share of non-oil activities in GDP from 65.9% in 2017 to 59.6% in 2018. The results showed increases across most of the non-oil activities of GDP during 2018. Value added by ‘Manufacturing ' increased by 13.8% in 2018. While the ' Activities of Public administration and defence; compulsory social security’ increased by 6.4% in 2018, compared with 10.9% in 2017, followed by the ‘Transportation and storage’ activity, which increased by 4.0% in 2018, compared with a decrease by 6.4% in 2017. GDP at constant 2007 prices increased by 1.9% in 2018 following a decrease of 0.9% in 2017. ‘Manufacturing' activities grew at 5.9% in 2018 compared with 5.4% in 2017. While non-oil activities increased 0.6% in 2018 compared with 0.9% in 2017. The main contributors to constant price non-oil activities in 2018, were ‘Construction’ with a share of 10. 2% of the total GDP and 'Financial and insurance’ activities with 7.3%. The 'Manufacturing' activity contributed 6.2 %, while ‘Wholesale and retail trade; repair of motor vehicles and motorcycles’ and ‘Real estate’ activities contributed by 3.9% and 4.2% respectively in 2018. Compensation of employees in the 'Public administration and defense; compulsory social security’, activity contributed 26.1% of the total, while the ‘Construction’ activity contributed 1 1.7% and the 'Manufacturing' activity 8.5% in 2018. Gross fixed capital formation increased by 6.8% to AED 157.3 billion in 2018 compared with AED 147.3 billion in 2017 when it decreased by 21.1%. The activities with the largest increase in the value of gross fixed capital formation in 2018 were ‘Public administration and defense; compulsory social security’, ‘Manufacturing' and ‘Mining and quarrying (including crude oil and natural gas) ' with increases of 15.9%, 9.7% and 9.1% respectively. The highest contribution to fixed capital formation during 2017 was from the ‘'Real estate' ' activity with 23.9%, followed by ‘Mining and quarrying (includes crude oil and natural gas) with 23.3%.and the ‘Public administration and defense; compulsory social security’ activity with a contribution of 14.9% in 2018.